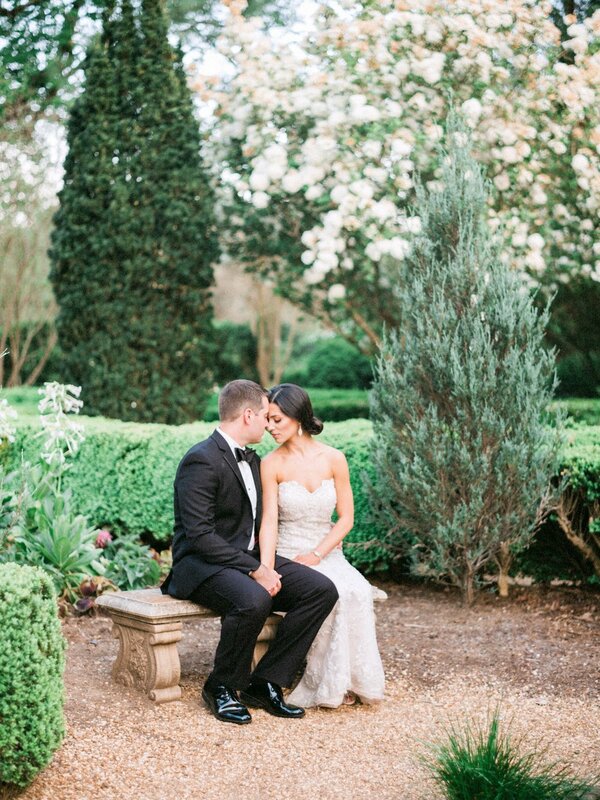 Barnsley Gardens in Georgia is an absolutely gorgeous venue! We were smitten from our first look. 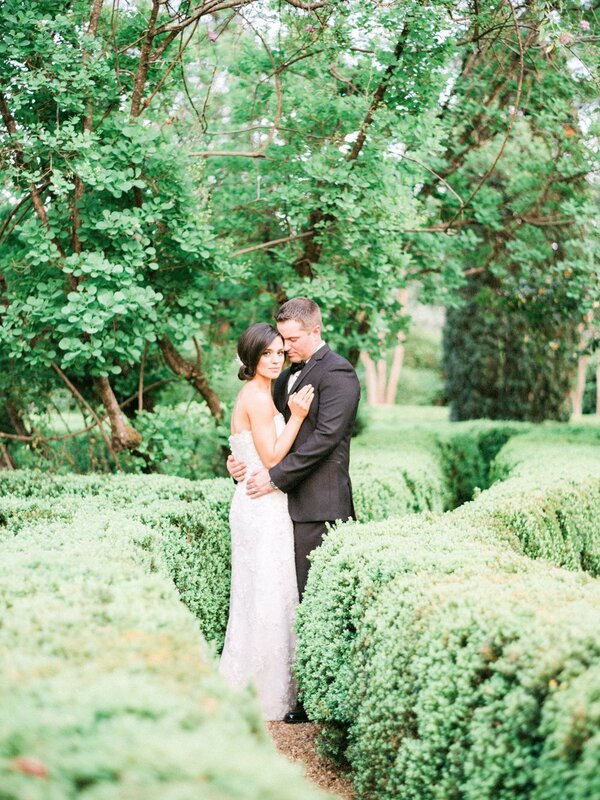 It was an absolute dream wedding day for Jackie and Ehren. We almost can't even put it into words. Cue ALL the tears right now. Doesn't it just give you the chills?! The color palette played a huge role in all of the design choices. It had touches of the 2018 Pantone color of the year, Ultraviolet. As well as burgundy, fucshia, pink, lavender and gray. It was so incredible romantic and worked beautifully at the venue- with the surrounding greenery and historic ambiance (hello exposed brick). Boutonnieres were created with Hellebores in white, a lovely deep, dusty burgundy tone and pink. We carried the hellebores through into Jackie's bouquet, as well as Fritillaria (the cascading burgundy bloom), ranunculus (we used multiple varieties, include a new fav, butterfly ranunculus), garden roses, and peonies. Arrangements for ceremony and reception were a mix of large and small pieces in their stunning color combination. We added lots of candles for romance. And the table numbers, paired with the scalloped edge plates were a beautifully contrasting texture with the soft linen & florals. We can't forget to mention the chairs! Aren't these the most incredible choice?! The circular back white wood chairs were sturdy, yet modern and delicate. They made such a beautiful impact in the overall design- really pulling all the pieces together. They truly were perfect! Be sure to check out Hunter Ryan's journal too!